On S. College Ave., just down the street from the campus of Texas A&M University, Martin Kapchinskie opened up a small store, selling groceries and barbecue. The year was 1925; Texas Agricultural & Mechanical College was just a small military college, a mere 49 years old. S. College Ave. was a sparse road that led from the school in College Station to Bryan, Texas. In the age before the automobile, Martin’s Place provided a much-needed rest stop along the way for travelers. In 1939, Texas A&M’s football team was on a roll, beating Arkansas and SMU on their way to a victory over Tulane in the Sugar Bowl to clench the National Championship. That same year, Martin Kapchinskie built the brick building that Martin’s Place still occupies. 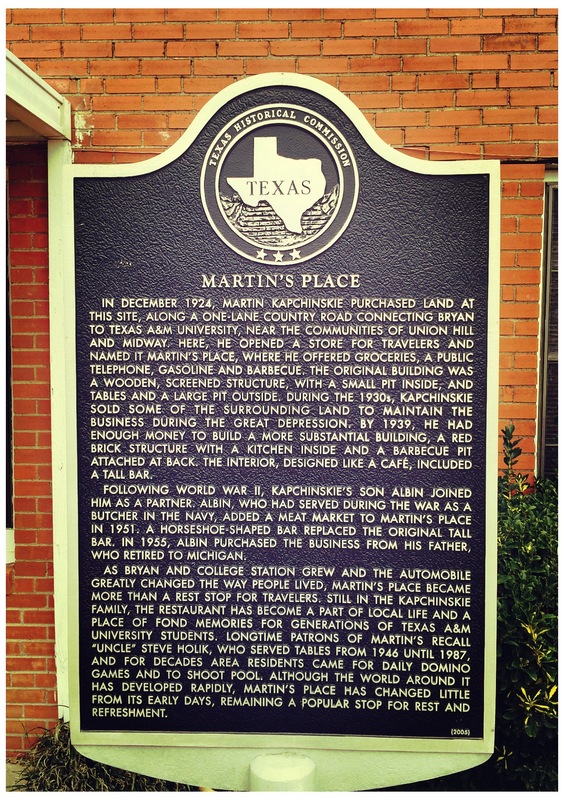 Martin’s Place was designated as a Texas Historical Landmark in 2003. In the 1960’s, Martin retired and handed down the business to his son, Albin. Albin ran the family business until his death in 1980, when his son, Steve Kapchinskie, took over the business. 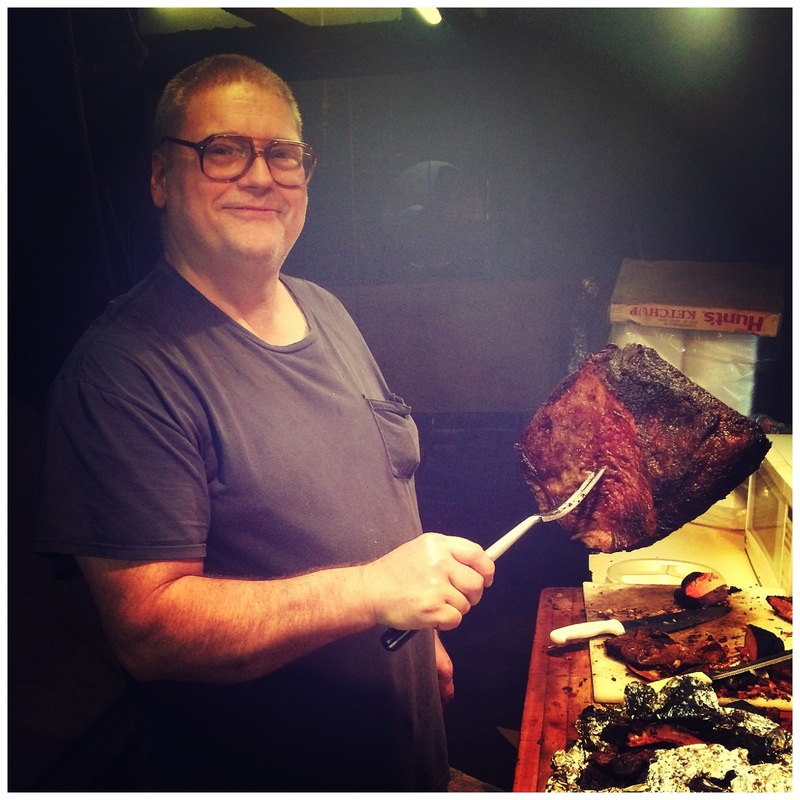 Steve can still be found in the smoke room, turning briskets and slicing beef. 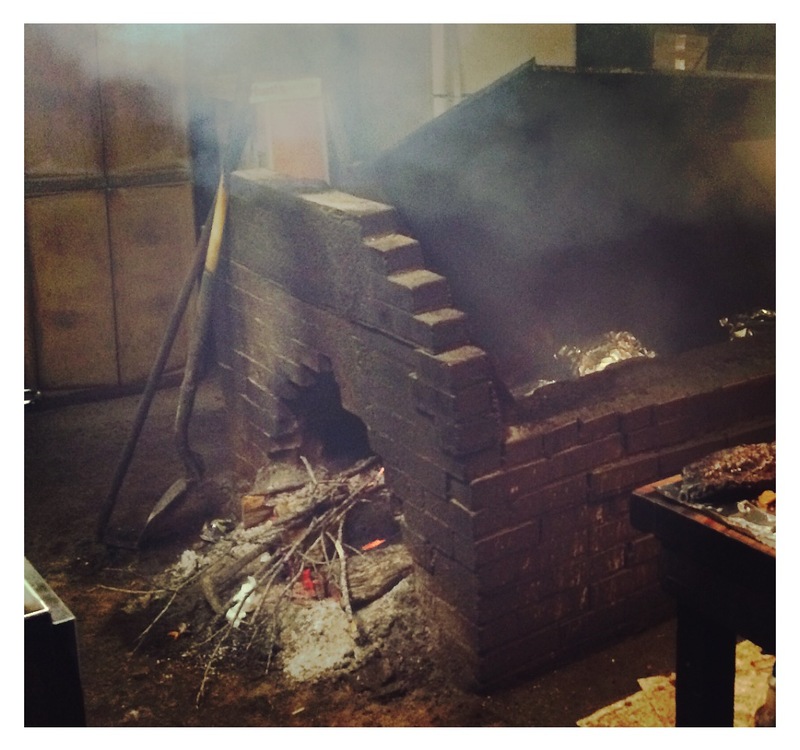 He started helping his father with the restaurant when he was only 12, making this his 46th year smoking meat! Entering the smoke room at Martin’s Place is like stepping back in time. 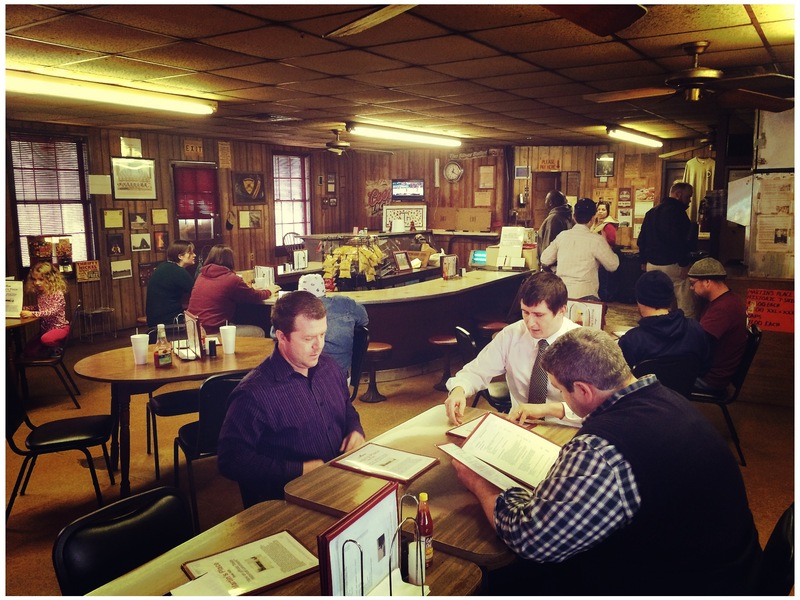 The dining room of Martin’s Place is like a blast from the past, complete with a 1950’s era bar top. 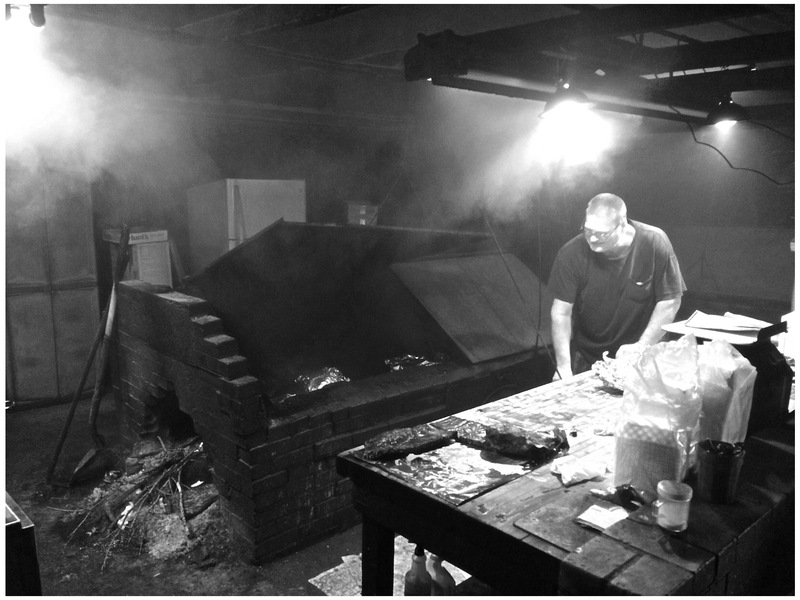 Over the years, the smoker has lost a few bricks, but Steve hasn’t replaced any of them, instead choosing to keep the brick pit original. He uses nearly 100% oak, with just a small percentage of mesquite in his fire. The coals are mostly underneath the cooking surface, making for a direct heat pit. Steve turns the briskets every four hours or so, for a total cook-time of 8-10 hours. Martin’s Place is open Tuesday through Saturday, and appears to be plucked out of the last century. The inside looks something like a diner from the 1950’s, and the walls are covered with Texas A&M memorabilia, family history, and photographs of Martin’s Place over the years. Smoke hangs thick in the air, and on the walls. There are several tables, and a U-shaped bar offers additional seating. It is truly a sight to behold. Thinly sliced beef brisket is a tell tale sign that the meat was overcooked and came out dry. By slicing the brisket extra thin, the meat is still tender, and is easy to eat. To say the brisket at Martin’s Place was cut extra thin would be an understatement. The slices were cut deli thin, but sure enough, it was tender, pulling apart easily. The smoke ring was present, with some bark. The flavor was fairly good, but the bark left a lot to be desired. Perhaps it was due to the unrendered fat, but the bark lacked flavor. I expect the bark on a brisket to be delicious, adding flavor and depth. I was left disappointed. The original brick pit, built in 1939. 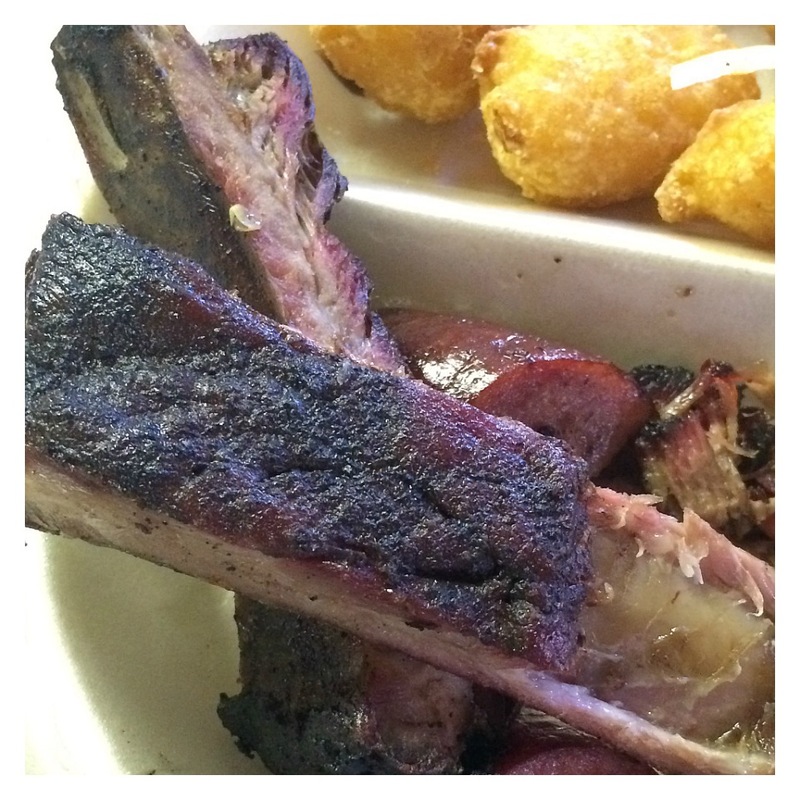 Just like the brisket, the pork ribs were overcooked – nearly burnt. In addition to being burnt, the meat was fairly dry. That being said, the meat pulled away from the bone perfectly, and it was still tender. The topside of the rib bore the brunt of the heat, leaving the underside still moist enough to retain the delicious flavor you would expect from a pork rib. Unfortunately, on the whole the ribs were underwhelming. 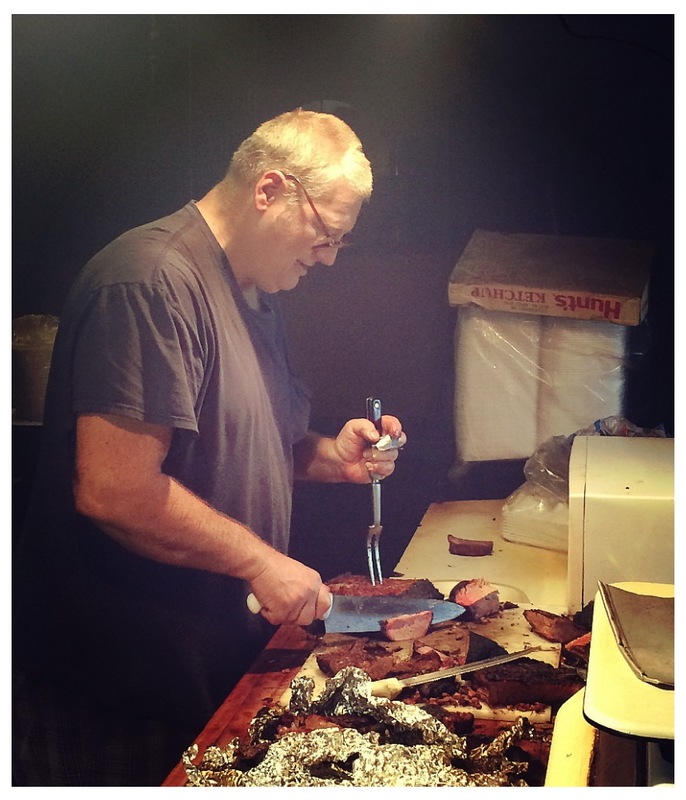 Steve Kapchinskie slicing a brisket. The flavor left something to be desired, possibly due to the unrendered fat. The best meat of the trio was the sausage. While not hand-packed, the sausage was full of flavor with a well-balanced spice profile. The casing was thicker than most, making it a bit tougher to chew. The sausage was “mildly reminiscent of deer sausage”, as noted by Bill Biggs. All in all, the flavor was fantastic and delivered as expected. The biggest critique was that one piece of sausage was burned to a crisp on one end. 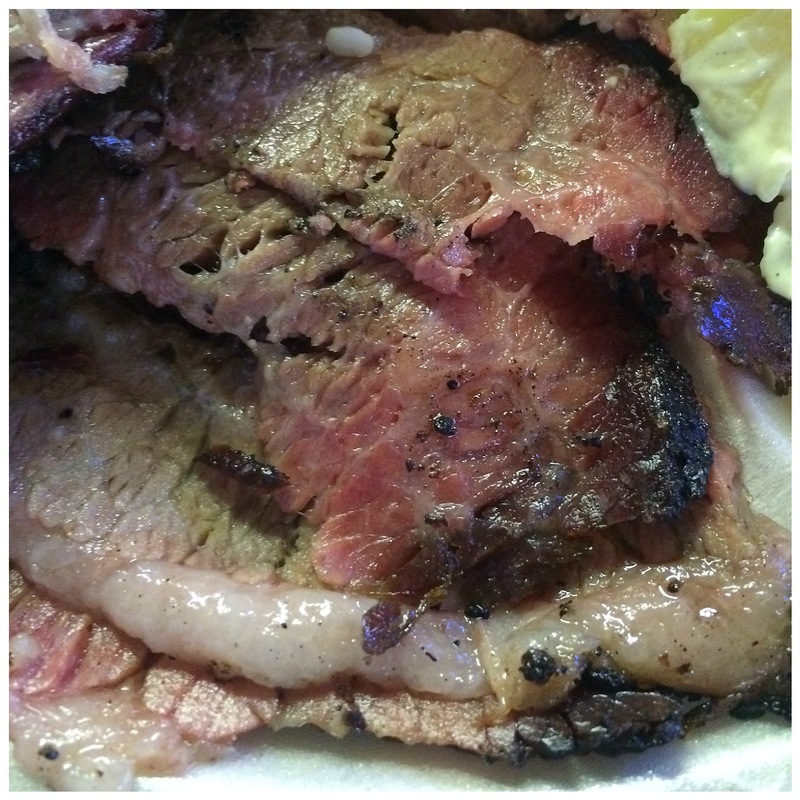 It was served sliced, so it would have been easy for the burnt end to be trimmed off. The ribs were quite burnt, but the meat stayed fairly tender. This entry was tagged barbecue, bbq, brisket, bryan, college station, Martin's Place, pork ribs, Texas A&M, The Best of Texas. Bookmark the permalink.